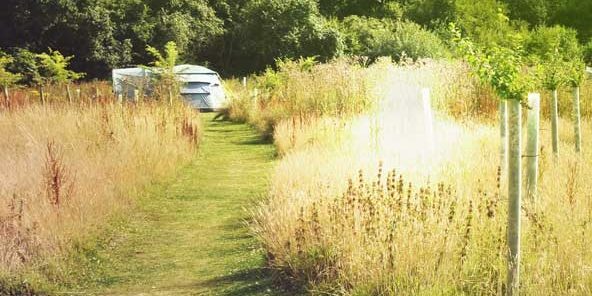 Our bell tents sit within an ancient woodland. 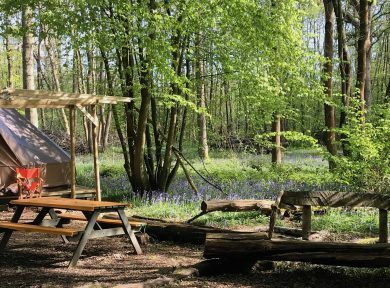 We think there’s something magical about The Secret Campsite Wild Boar Wood, our off-grid glamping site in the High Weald – an Area of Outstanding Natural Beauty (AONB). The woodland campsite has just nine bell tents, set on wooden bases in a lovely woodland. The wood is filled with bluebells and birdsong in springtime, trees in leaf in summer and magic throughout the autumn as the colours change. Den building is allowed, campfires are encouraged and waving at the steam trains passing on The Bluebell Railway is practically obligatory. 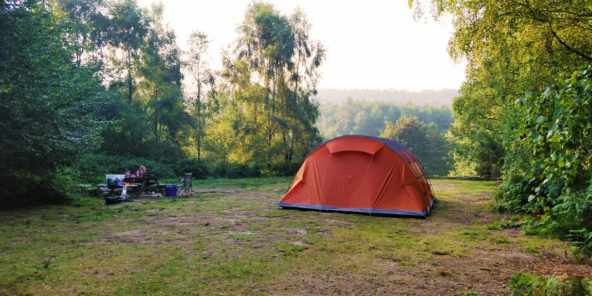 If you would prefer the option of tent pitch camping with The Secret Campsites, try The Secret Campsite Beech Estate or The Secret Campsite Lewes.